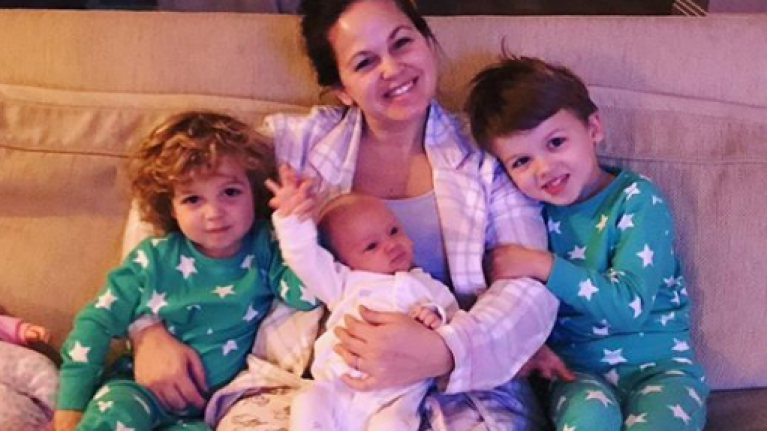 Giovanna Fletcher is pretty high up there in terms of our favourite celebrity mums. She's spoken openly about her mental health struggles following her third baby and about her self-image. Back in August Giovanna gave birth to Max Mario Fletcher, which made her a mum to three boys. She and husband Tom also have Buzz, 4 and three-year-old, Buddy. She recently shared a parenting hack to encourage Buddy to eat his vegetables and it has gotten a great response among other parents. "We've been creating our own bush tucker trials." The I'm a Celebrity inspired challenge was posted on Instagram two days ago and already has over 66,000 views. "The plate was cleared in record time!" Fans were quick to label her "super mum" and "mum goals"- well deserved titles, we think.